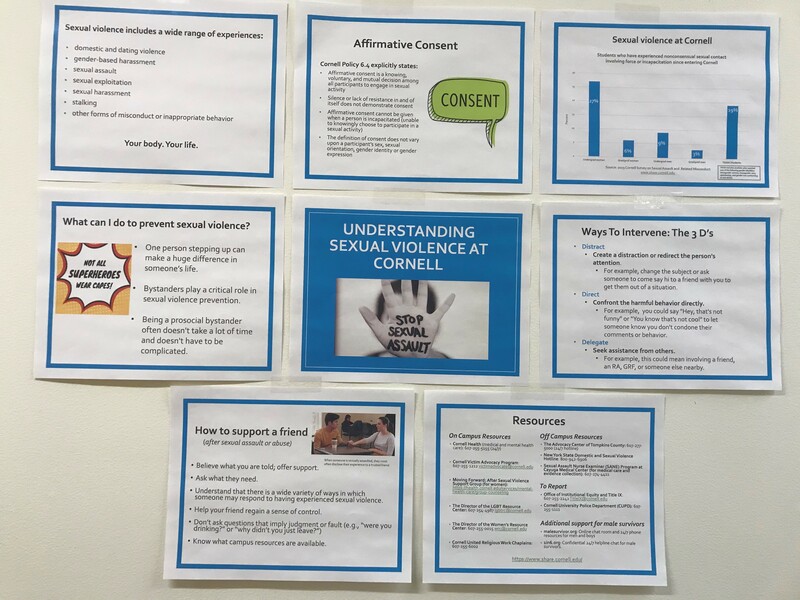 The following bulletin boards were created for use by student staff members in Residential and New Student Programs and the West Campus House System. We welcome you to print the components of the bulletin boards below, and display them in your residential community. These research-based materials were developed by our Public Health Fellows, all recent Cornell graduates. If you have any questions, please contact Cornell Health's Skorton Center for Health Initiatives.